At 25, Ian Wedde was the youngest Burns Fellow recipient. Although a regular contributor to Landfall, he had at the time only one book to his name, a poetry book called Homage to Matisse (1971). 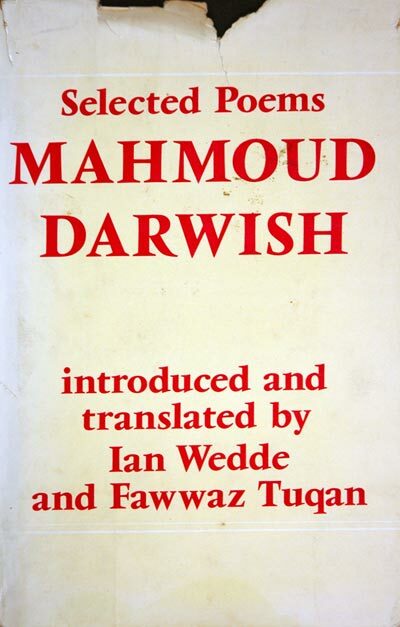 While in Dunedin, he translated, with Fawwaz Tuqan, the Selected Poems of Mahmoud Darwish (1973). He was particularly pleased with the book, nominating it as 'the better work to come out of the year'. One surprise benefit resulting from this work was his discovery of the University Library's holdings of useful material on Arabic poetry. Wedde also did some initial work on what would be his novel Symmes Hole (1986). 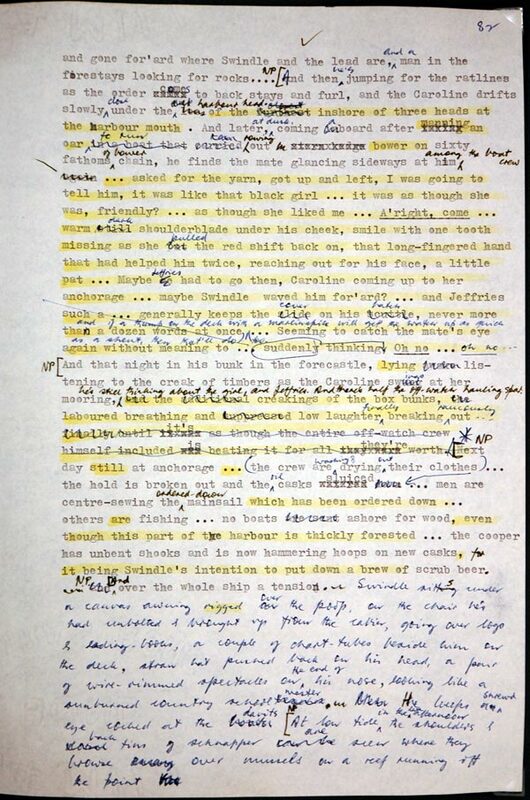 A sheet from his draft manuscript is on display. 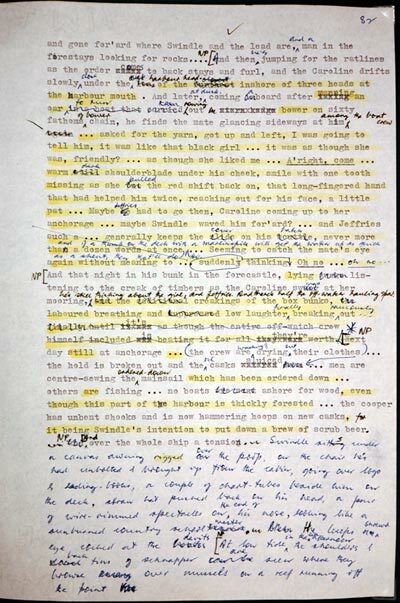 Ian Wedde, Draft typescript pages for Symmes Hole (1986). Private Collection; Mahmoud Darwish, Selected Poems. Introduced and translated by Ian Wedde. London: Carcanet Press, 1973. Private Collection.